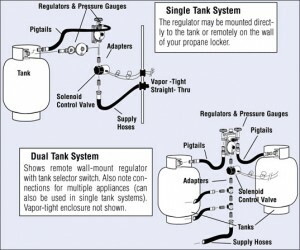 RV Propane Regulator Troubleshooting – Read This First! 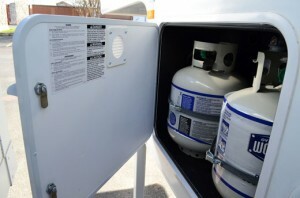 Propane is cheaper than gas, clean, and with a few precautions, very safe to use. 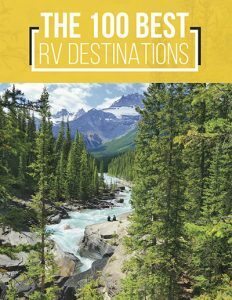 It is the most versatile system in an RV. It is also easier to refill than gas cans, and dangerous, flammable liquids. Propane failure means you won’t be able to stay warm in your RV, cook, heat water, or even keep your fridge cold– all the things that make RVing so much easier, and better, than camping. Granted, you could just use a microwave, a space heater, or an electric refrigerator, but it’s still a handicap to not have propane in your RV. The worst-case scenario, in the event that you have engine trouble, or your transmission slips, is that you get held up for a few hours as you fix it. If your propane system fails, however, there are numerous things that could happen, but the worst is that it could blow up– and your RV with it. All propane-burning appliances should be maintained periodically. Use, abuse, and non-use–whatever the situation–all systems must be checked thoroughly, to ensure that everything is working as it should. Repairs now will save you from more costly repairs later. The name of this component is self-descriptive. The pressure regulator regulates the pressure. Whether your tank is full or almost empty, the propane regulator works to deliver a steady stream of gas to all appliances that require it. This must also be done continually, as long as the service valve is open. The pressure regulator is relatively inexpensive. 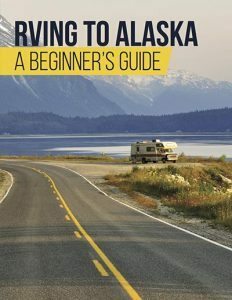 All RV owners should have a spare one handy. They are easy to install, and cannot be installed incorrectly, even by one who has never done it before. Keep your regulator covered; this is the best way to protect it. Never attempt to adjust the regulator yourself. Call a technician. 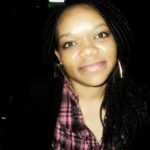 A technician will also carry out tests to ensure that everything is working as it should. The pressure in a propane tank is usually very high, almost 250psi. The fuel is also stored as liquid, but we use it as a gas. 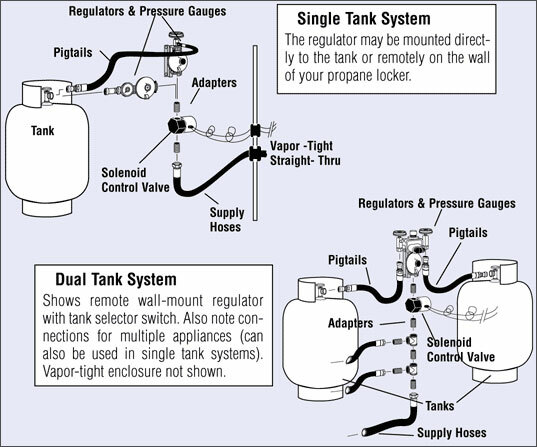 An over-fill protection device valve is a mandatory component in all propane tanks. This ensures that your propane tank is not filled too much. This is done so that there is room for your propane to change back to gaseous form, so it can be used. The OPD closes the fill-valve at the point required, so that this space can remain. An odorant is usually injected into the otherwise odorless propane gas. If you smell the gas, shut off the supply at the container, and get a technician to figure out the source and cause of the leak. Newer RVs are built with sensors. The sensor for detecting leaking propane is right in the propane system. It shuts down the supply immediately, after it detects a leak, and alerts you of it. If your detector goes off with a solid sound, a leak has been detected. If it beeps continuously, the batteries are low and you need to change them. Top 20 Weirdest RVs In The World. You’re Never Going To Believe What RV #14 Is. 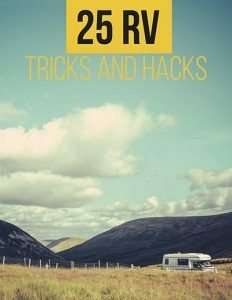 RV Water Heaters: 10 Things You Need to Know!